Bay Curious listener Steve Yeager has been wondering about the fleet since he was a kid. He still passes the ships on his weekly commute. “Why are they there? And what is it doing to the environment?” he wants to know. Suisun Bay was first used for this purpose in 1946. World War II had just ended and the Navy had a huge surplus of vessels. 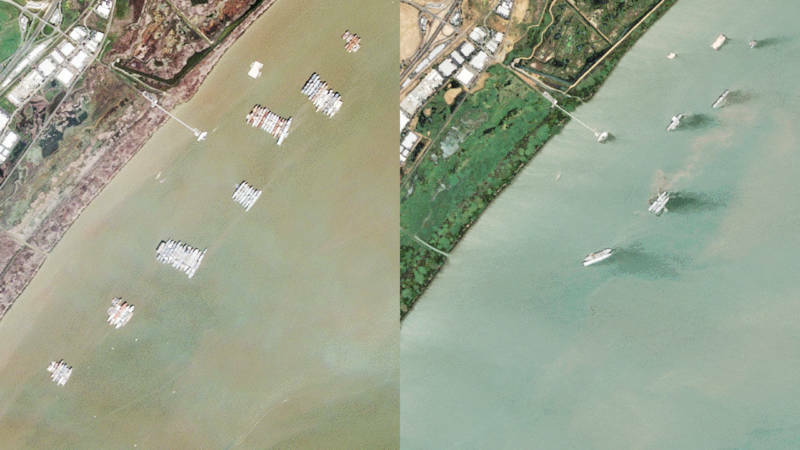 Benicia was one of eight places around the country where rows of mothballed ships were anchored. 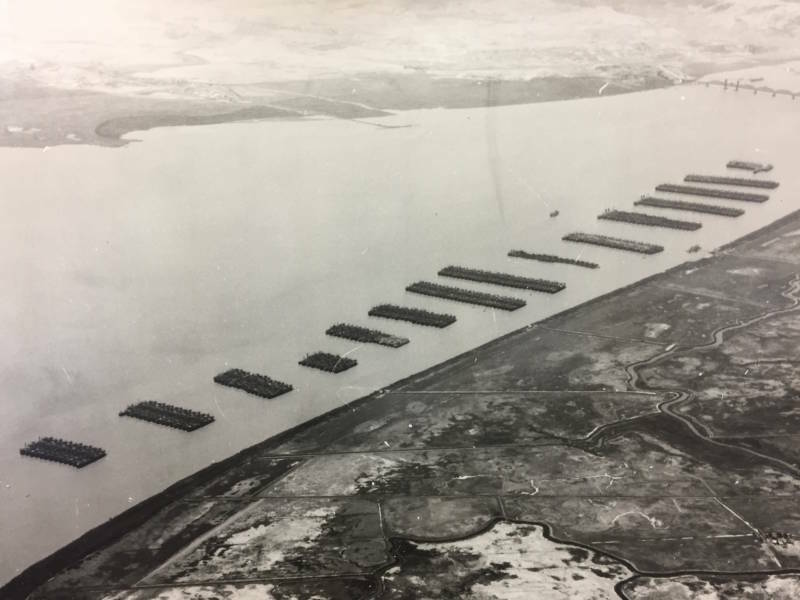 At its peak, Suisun Bay had 340 ships lined up in neat rows. It was a forest of steel and wires. 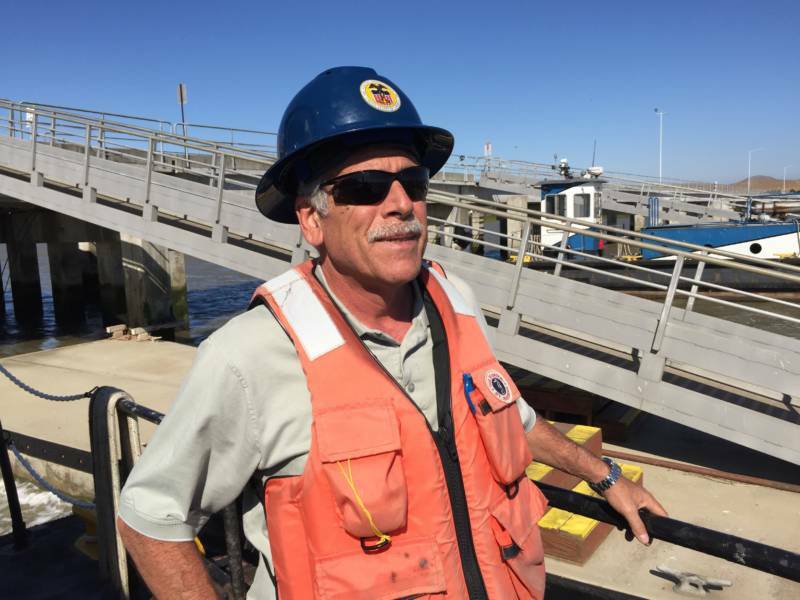 Joe Pecoraro has been managing the Mothball Fleet for nearly 30 years. The WWII battleship Iowa was a favorite of Pecoraro’s, before it was renovated into a floating museum and moved down to Los Angeles. Not all ships have such a glamorous afterlife as the Iowa. Many of them once anchored there were beyond redemption, and were stripped of their parts. Few were ever put back into action. Some ships in the fleet fell into such disrepair that environmentalists took notice. And it wasn’t just rust. Harmful chemicals, lead, hazardous paint and asbestos were all coming off the vessels. Researchers found 20 tons of it had washed off the ships and into the water over the years. 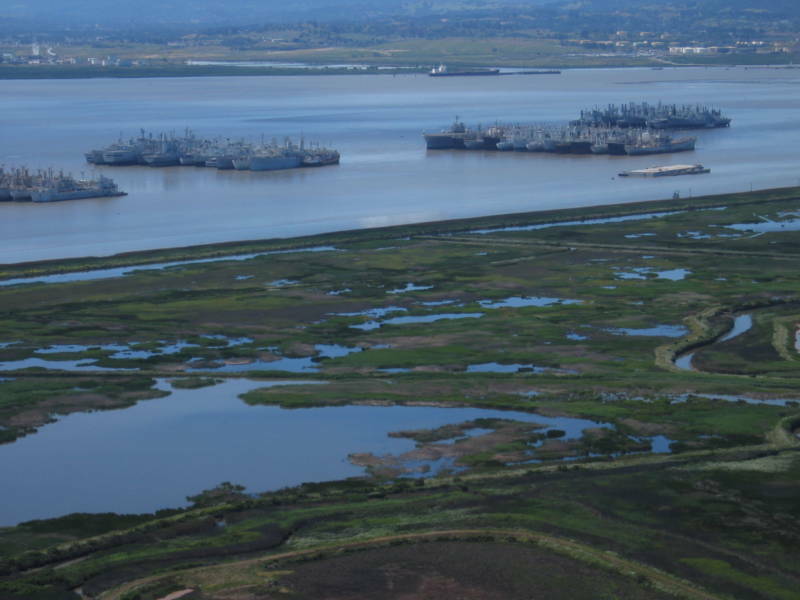 It’s an especially big problem because just next to the fleet sits Suisun Marsh — the largest salt marsh in the western United States, and an environmentally sensitive area. In 2009, Baykeeper, along with other environmental groups and local water quality regulators, sued in federal court under various environmental laws. 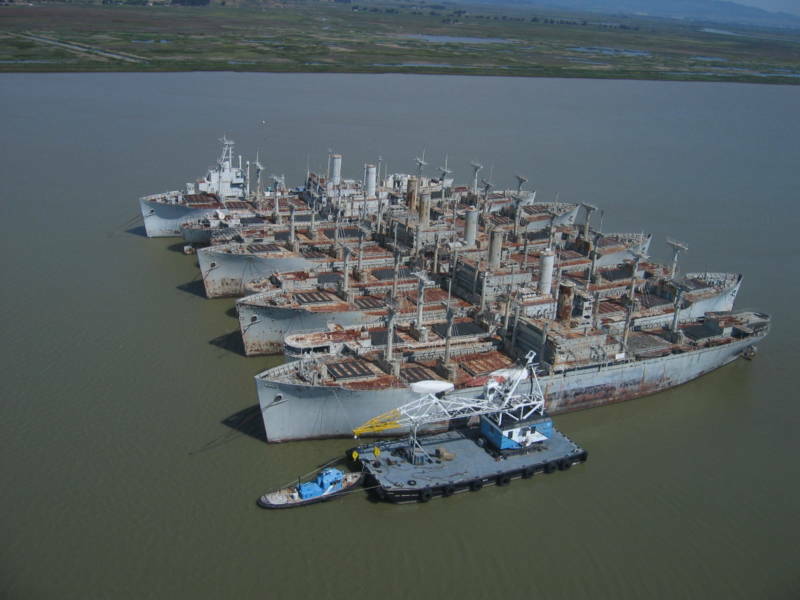 They won a settlement to get 57 creaky old ships out of Suisun and off to the scrapyard. Moving each ship cost about $1 million and involved a 45-day trip behind a seagoing tug. In August, the last of the scrapped ships were hauled away to Brownsville, Texas, where they are broken down and recycled. Even the top brass at the U.S. Maritime Administration, known as MARAD, which manages the fleet, agrees it was overdue. The whole project cost about $57 million, but a MARAD official says they recouped about $30 million by selling the scrap metal. Though much smaller than it once was, the Ghost Fleet isn’t going away entirely. Today, only nine ships remain, plus the barge used as an office and maintenance base. While it seems highly unlikely that we’ll ever see hundreds — or even the dozens of ships that reposed here less than 10 years ago — new ships can be added to the fleet. 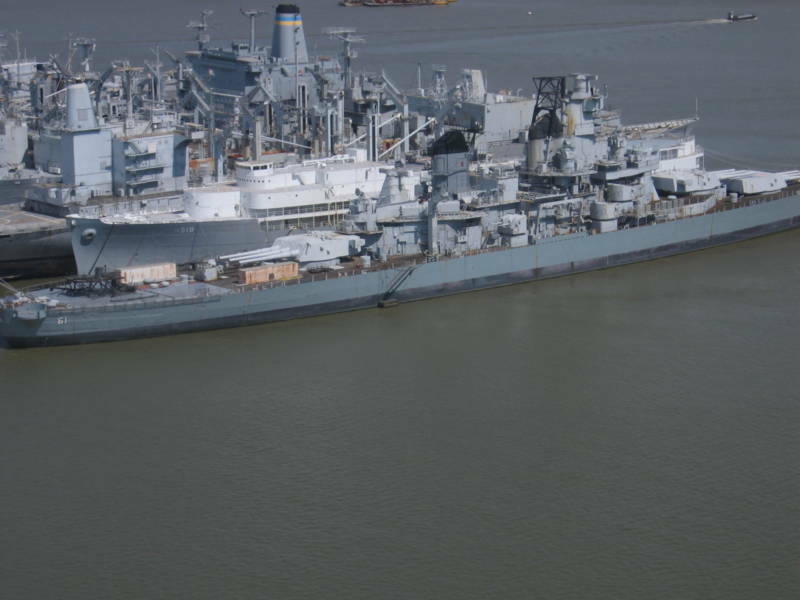 MARAD recently added a Navy tanker that’s part of the “Ready Reserve.” The Petersburg could be turned around in a few days if called back to duty, and a skeleton crew lives on board. 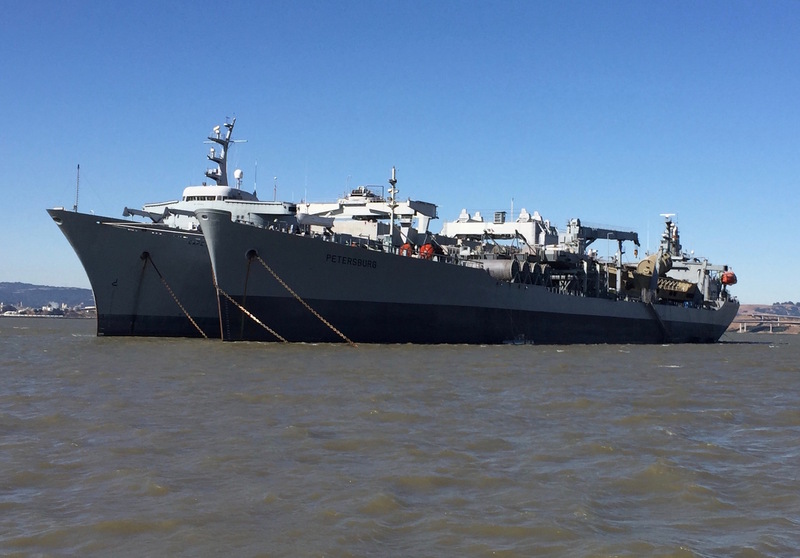 The remaining ships are outfitted with screens and filters to keep pollutants out of the bay, and MARAD now regularly tests the water quality. So what did Steve Yeager, the listener who asked us about the fleet, think of our answer? He’s glad the environmental issues have been addressed, and doesn’t mind that a few ships are hanging around for the next generation to see out of the car window on trips up Interstate 680. “My kids will ask me the same questions, but I’ll have a little more information now that I can tell them,” he says.